We are pleased to announce the appointment of Professor Joseph Walther as the first Bertelsen Presidential Chair in Information Technology and Society. Professor Walther will assume both the directorship of UCSB’s Center for Information Technology and Society (CITS) and a distinguished professorship in the Department of Communication, beginning November, 2017. Walther is currently the Wee Kim Wee Professor of Communication and Information at Nanyang Technological University in Singapore, Asia. He is also a fellow in social media research at the University of Duisburg-Essen, Germany and a fellow at the Centre for the Study of Children and Media at the Amsterdam School of Communication Research. Walther pioneered the systematic study of computer-mediated communication and its implications for interpersonal relationships. 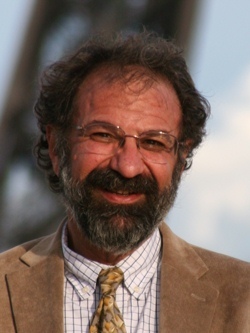 His original theories and empirical work have been applied to topics such as online impression formation, virtual team dynamics, social media and persuasion, digital deception, online learning, electronic dating systems, and the use of information technology to reduce prejudice among Jews and Arabs in the Middle East. This enduring and highly influential research agenda has garnered several prestigious awards including the International Communication Association’s Steven H. Chaffee Career Achievement Award (2013) and the National Communication Association’s Charles H. Woolbert Research Award given to an article that has stood the test of time and become a stimulus for new conceptualizations of communication phenomena (2002, 2009). Professor Walther is a Fellow of the International Communication Association. The Bertelsen Presidential Chair in Information Technology & Society was created by UCSB supporters Mark and Susan Bertelsen who also contributed to the founding of CITS. Mr. Bertelsen is a senior partner in the Palo Alto law firm of Wilson Sonsini Goodrich & Rosati. He is also on the Dean’s Cabinet of UCSB’s College of Engineering, in addition to active participation at the UC Berkeley Law School and as a trustee of the UC Berkeley Foundation. Mr. Bertelsen’s involvement in major business transformations involving computing, software and media, telecommunications, etc., have sustained his ongoing interests in research into the societal impacts, both good and bad, of the Internet.